Last year I witnessed a spectacular carbon fiber steerer failure which I believe may have been caused by a too-heavy rider on an OCLV. 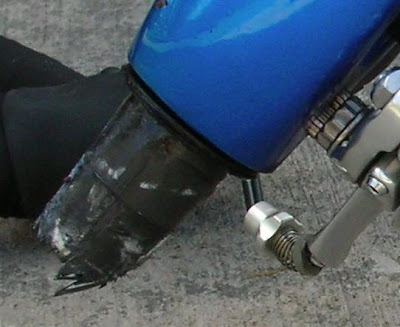 The steerer abruptly snapped apart just above the fork crown, smashing the rider face-first into the pavement. He was seriously injured and had to be hauled away by the EMTs. I took photos . 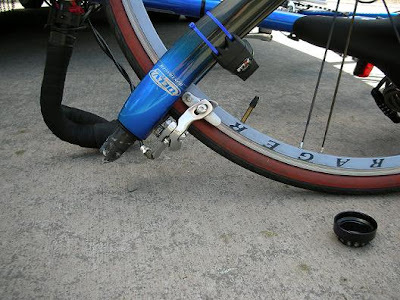 . .
bogus, I had a 2007 Trek 5000 and my weight was 300lbs and the first things to go were the wheels. They would be out of true all the time. 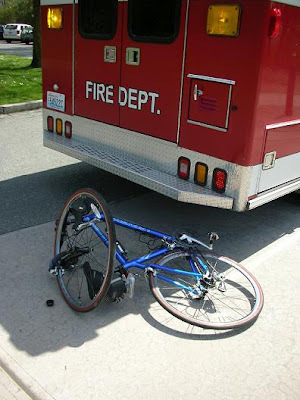 By the picture it seems the orignal wheels are still on the bike. So the weight of the person I would have to question.